The Bridge, before opening as a public house, was then known as Brooklands and had been Dr Rhodes’ Surgery, John Bentley’s do it yourself store, a sleep shop, a hairdressers and a car accessory shop. In January 2000 a £150,000 dream to turn a ramshackle motorbike showroom into an exclusive wine bar and bistro become reality – thanks to the vision of three Wharfedale businessmen. Malcolm Hughes, Vernon Marston and John Barber agreed to spend more than £150,000 between them to completely refurbish the former showroom and doctor’s surgery as a showpiece wine bar and bistro. They claimed that the new 65-seater wine bar and restaurant would boost a rundown part of Otley and help inject new life into the waterfront area. The partners had already got full planning permission and just applied for an extension to the front of the property which was approved. They aimed to open it by the end of April and would serve a variety of food, including tapas, seafood and steaks. It would also feature a beer garden as well as 17 car parking spaces. It was first known as Tittybottle Park, Bar & Brasserie for a short while. On the 23rd August 2001, the Suburban Bar opened under new management. The Managing Director, was Andy Longman of an independent pub company Suburban Style Bar Co. Ltd. who had acquired the site and set about a dramatic refurbishment which resulted in a striking new look and superb up-grade in the facilities on offer. In November 2007 Andy Longman re-branded Otley’s Suburban Style Bar “Drinker’s Delight” in a bid to salvage something from a dreadful year. It was well known that the national supermarkets were selling cheap alcohol. The pub trade had had a shocking summer weather wise, and combined with the smoking ban it had left a lot of licensees in dire situation. He announced that Drinkers Delight would be offering discounts on some of its drinks but had vowed not to drop its service level. He had already been commended for the drinks menu which gave details of alcohol units and tips for a good night out. The Suburban Style Bar group went into administration in October 2009. The company, set up in 2000, seemed to be flourishing in early 2008 when a £1.6 million funding package from the Allied Irish Bank allowed it to buy eight more freehold pubs and two leaseholds. The group appointed Zolfo Cooper as joint administrators to Suburban Style Holdings Limited and The Suburban Style Bar Company Limited. By early January 2010, the Suburban Style Bar in Otley had been sold to Birmingham based Cal Management Ltd. and by September 2010 the new manager was preparing to give the place a complete makeover and a new name. The manager hoped to turn the place into a more traditional pub venue, complete with real ales, which would boost trade and better complement the town. They were also hoping to bring in some cask ales and introduce live music on Saturdays. It temporarily closed in June 2011 and re-opened as “The Bridge” on the 1st July 2011. 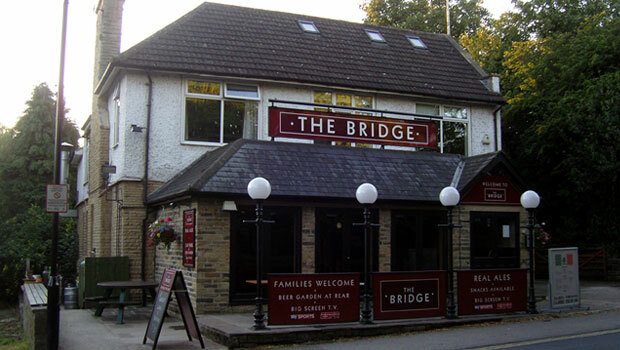 The Bridge has closed (2014) and is now private accommodation .